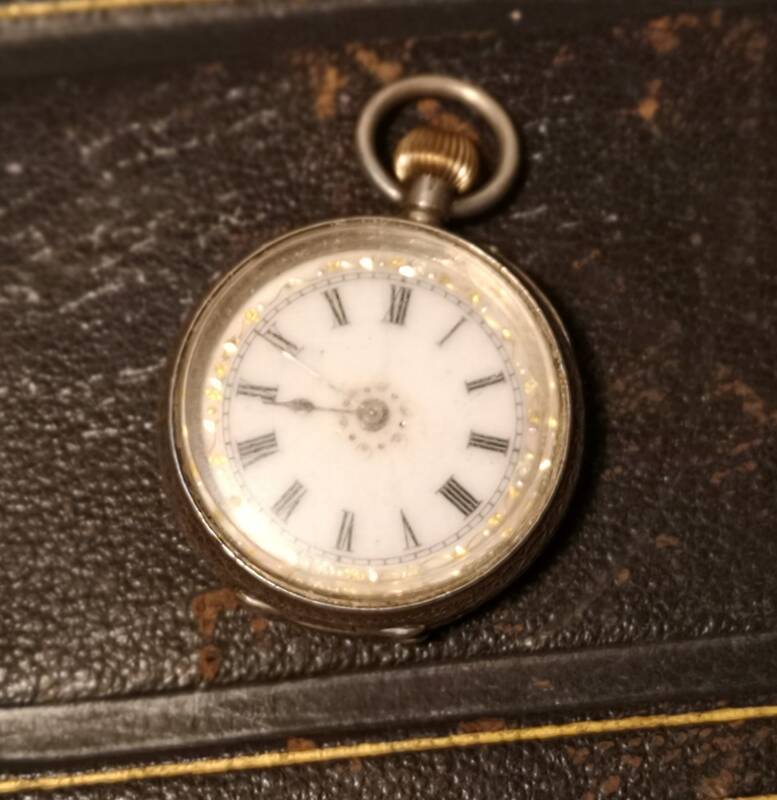 A pretty antique sterling silver ladies pocket watch, white enamel dial with applied gold and silver detailing. 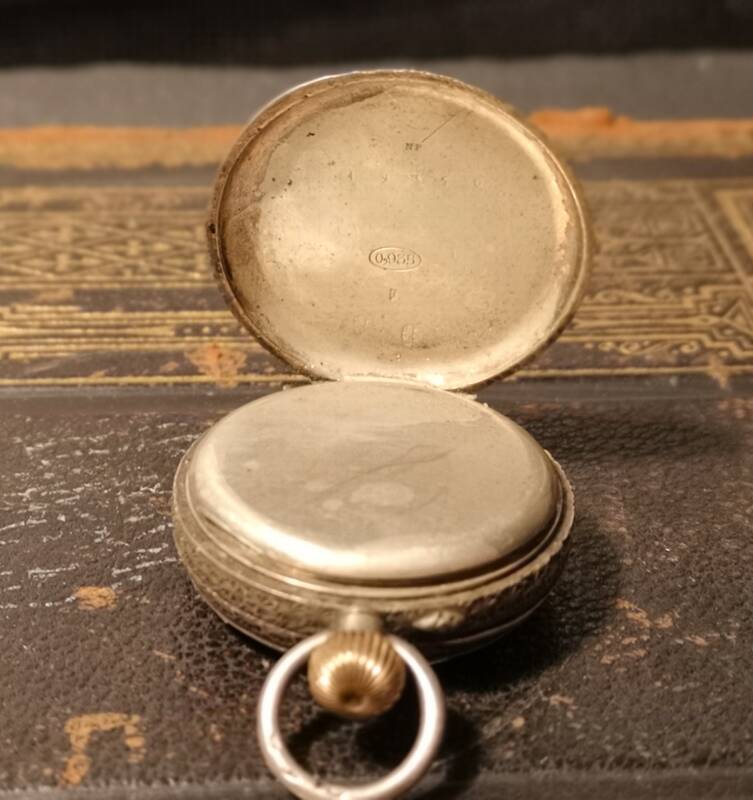 c1900, the case is made from sterling silver and marked 925, 0.925 no makers mark, the movement is likely of Swiss import. 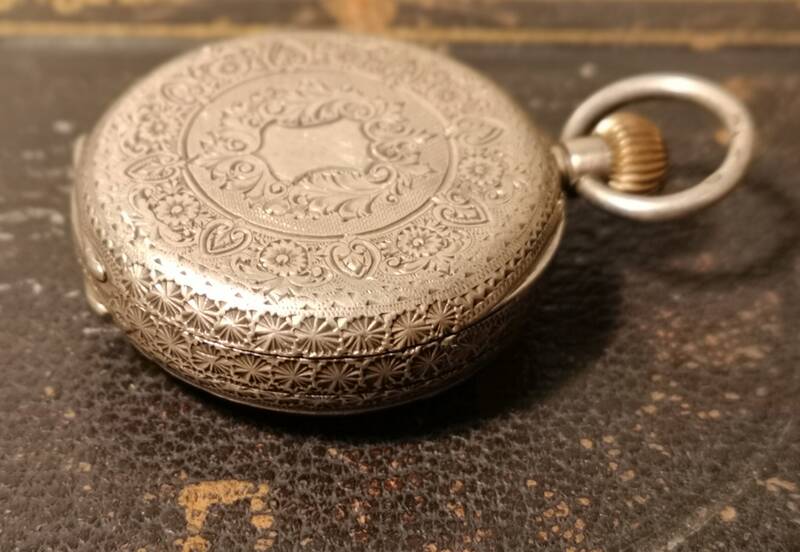 It is very finely engraved on the back of the case with a scrolling floral design and a central cartouche which is not monogrammed so could be personalised. 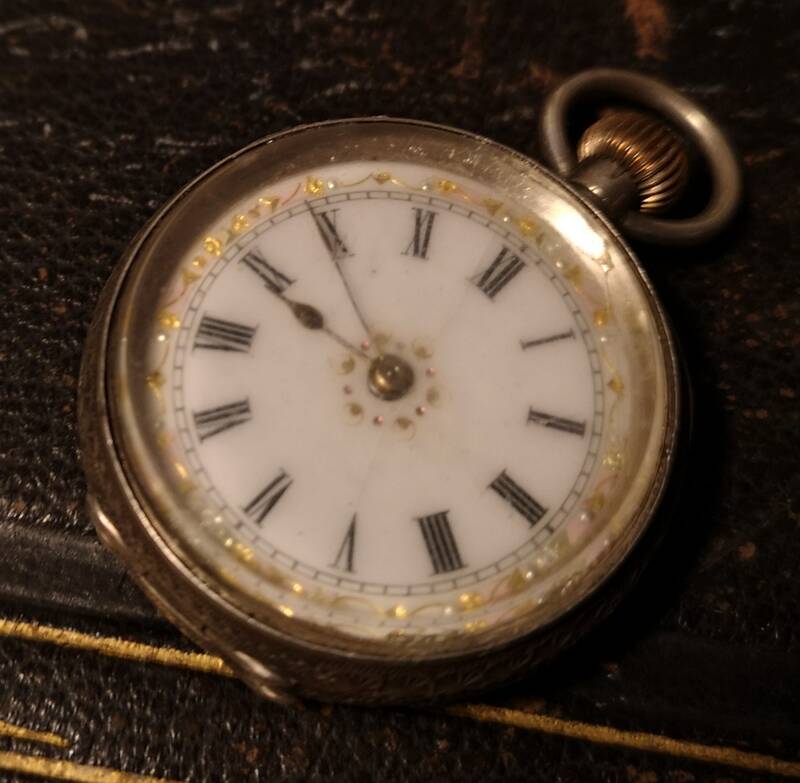 The white enamel dial has a very fine hairline crack through it but it is not very noticeable as it is so fine,the glass is scratched and worn and could do with replacing. 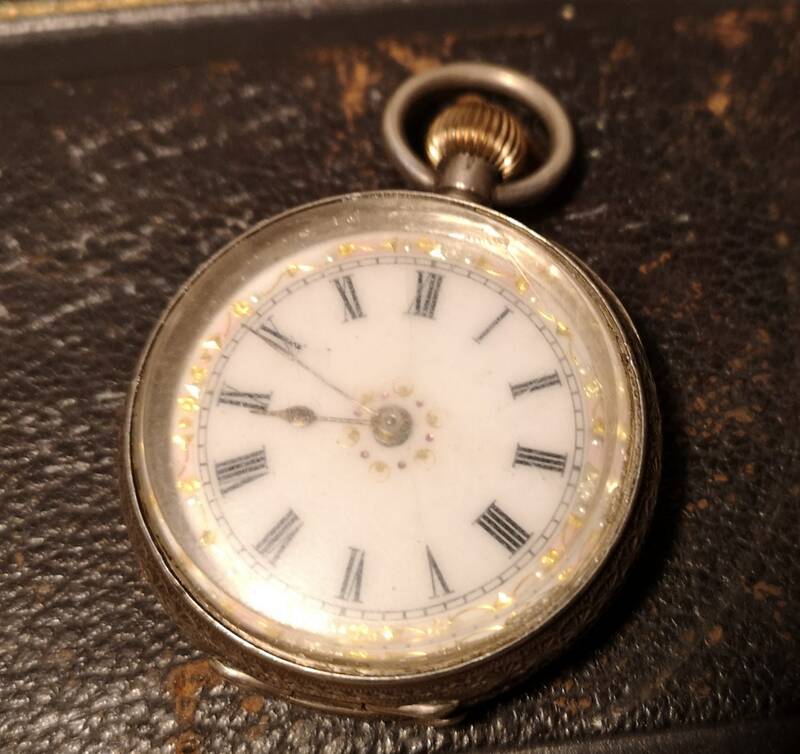 It has Roman numerals and is a top wind watch, it winds nicely and ticks away keeping time well, tested over a 24 hour period. 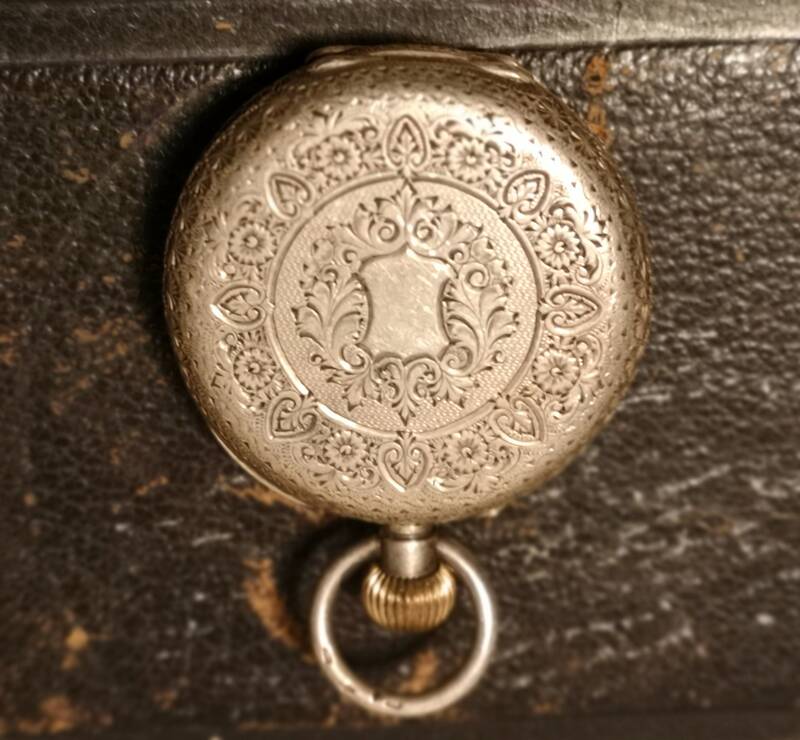 Approx 1.5" width, 2" height with loop and 0.5" depth. 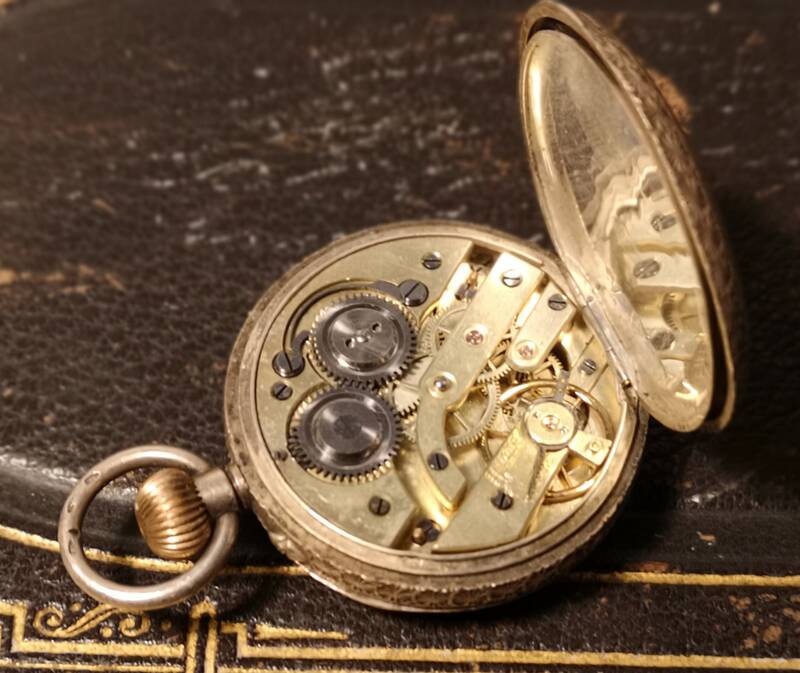 Please note that following travel it may need to be reset / rebalanced.